Update (8:49pm): I adjusted my Windows 8 date/time to tomorrow and the progress of the update jumped and I'm completed now. I now see a Restart PC to finish installing updates. 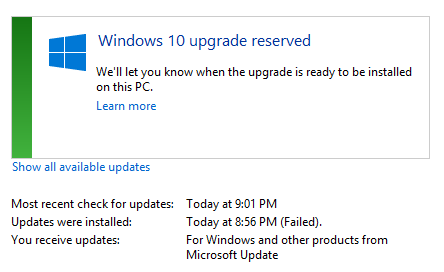 Update (9:00pm): Well it looks like it's a bust with Windows 8.1. My friend tested on Windows 7 and it worked but mine refuses to install--it just says I have it reserved and it's ready. I tried rebooting multiple times and running the /updatenow command again but no go. Update (10:00pm CST): No luck on my other PC, same situation. Guess I'll just have to wait in line like everybody else! 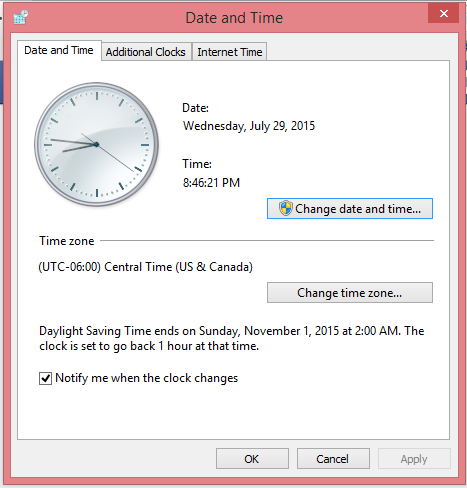 This is only applicable for the next few hours until your machine gets Windows 10 rolled out. If you're impatient like me, a friend tipped me off that he was able to install Windows 10 prematurely by simply forcing Windows Update to download Windows 10 and then setting his system time forward a day (BIOS, I'm thinking). It's kind of unbelievable but it's working so far. 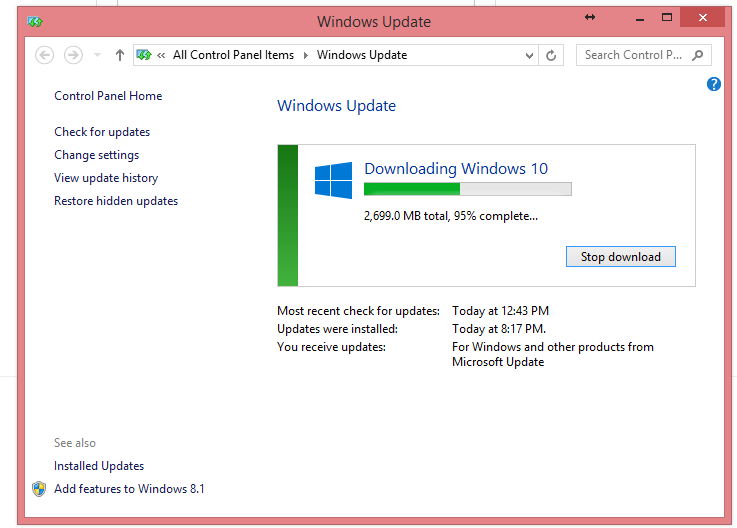 I'm at 95% complete downloading (you can view in Windows Update window).